Ballpoint pen with plunger action. 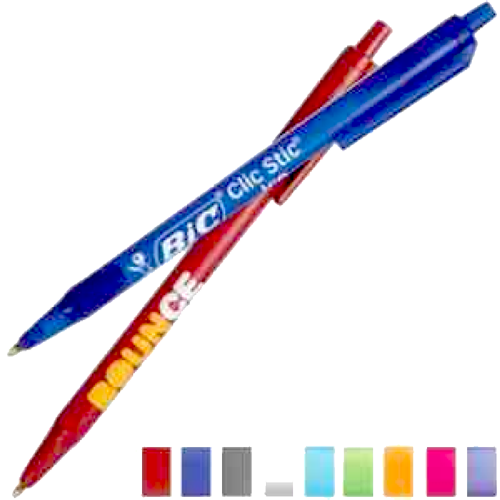 Bic Pens break resistant pocket clip. You can choose one trim color and one barrel color for this pen. The pen also features various option choices such as: easy glide ink or fraud resistant ink, clip imprint or barrel imprint or fine point pen or medium point pen. The history of this pen has been timeless. This pen that is a great give away or promotional trade show pen. Other high end pens are cross pens. Always in stock! While many pens have the light up feature, do any of them really work? 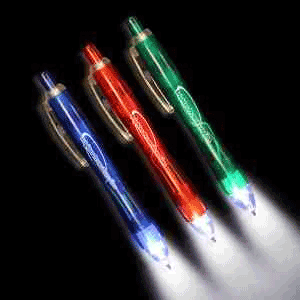 Our Ultimate Lighted Pen shines where others fade! This high tech pen has not 1 but 2 powerful LED’s that combine to produce an impressive beam of light that will knock your socks off. Whether you’re illuminating a restaurant check presentor pen or finding your way around after the power goes out, this pen is up to the challenge. Writes in black. Batteries: 2 Pieces AG-3 (replaceable) included and installed. Magnetic pen and sticky note holder. Silver base “mysteriously” suspends pen upright, a little science reveals a magnet which allows the pen to balance itself within the base. Complete with a mini sticky note pad.The technique does not involve the use of inks, nor does it involve tool bits which contact the engraving surface and wear out. These properties distinguish laser engraving pens from alternative engraving or marking technologies where inks or bit heads have to be replaced regularly. 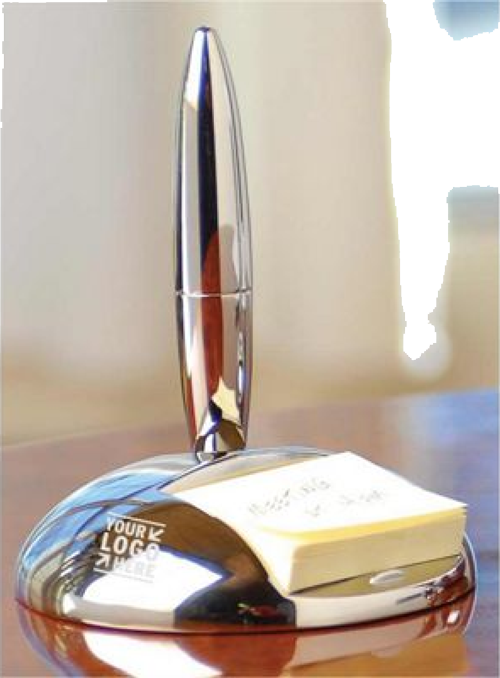 See more promotional product custom engraved pens. Sheaffer (R) Legacy (R) Heritage. Fountain pen with inlaid nib in 18K gold. Black lacquer finish with polished palladium plate cap and 22K gold plated trim. Iconic, flagship product. Packaged in Sheaffer’s premium gift box. 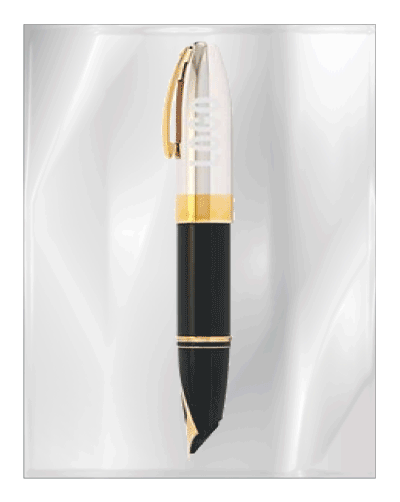 Very high end pens perfect for any executive board Sheaffer’s Limited Lifetime Warranty. Laser Engraving.Cartridge refills available.